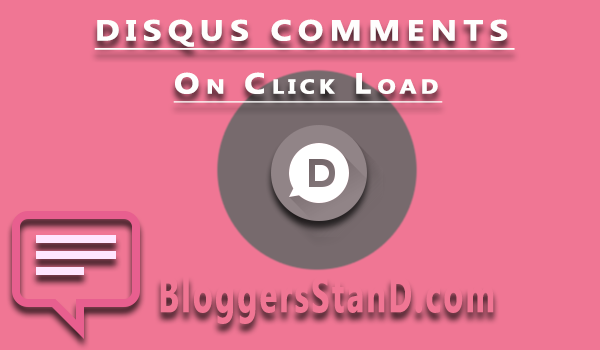 How To Install Disqus Comments Load On Click In Blogger | BloggersStand ';-1!=b.indexOf("img.youtube.com")&&(a=' ');d=a+''+p+''+titlex+"
Hello folks,Today in this article we are going to explain How to add Disqus comments load on click in blogger template.Now days every blogger knows about disqus this is best platform for commenting system in every website or blog.Disqus comments are 100% responsive wich for sure enahcne each and every website.From Disqus comment system you can moderate comments and there is no issue of spam ,becuase all spams comment first need moderator approval then it's only visible otherwise they will remain pending.There are lot of tricks to customize disqus comments box ,in our next tutorial we will explain how to add most commentator widgets of disqus comments.Disqus comment system is totally free and disqus comments comes with very rich features,which also comes in google search results.In disqus you can recommend your content to show on each and every comments section in your website.they also provide one unique feature which i like the most i.e featured comment.if something you want to tell to your visitors or want's to highlight it just write your comment and select featured comment,it will display on the top of all the comments with the featured comment tag by admin. However today we are just focusing on custom disqus system load on click,it will also boost your page speed load time and suits every blog niche.So to grab this trick follow the steps mentioned below. Step 3. First Search for <head> by Pressing Ctrl+F keys and Copy the below Font Awesome Icons stylesheet and paste it just below the <head> tag. Step 4. Now Search for the following below code. Step 5. Now copy the below highlighted code and paste it just after the above code. 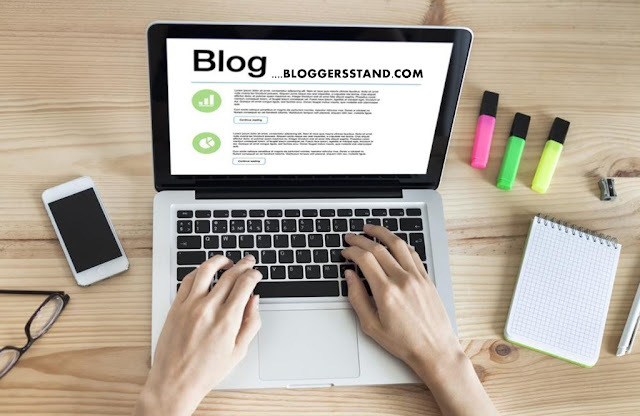 Replace bloggersstand with your disqus username. Step 7. Now Search for ]]></b:skin> or </style> by Pressing Ctrl+F keys. Step 8. Copy the below CSS code and paste it just before the ]]></b:skin> or </style> tag. Step 9. Now Search for the following below code. Step 10. Now copy the below highlighted html code and paste it just before the above code. learn trick to modify add on load click function on disqus comments to increase page loading speed with css and html tricks,customize custom disqus comment system click on loading style in blogger blogspot template. 0 Comments on "How To Install Disqus Comments Load On Click In Blogger" So Far - Post Yours!